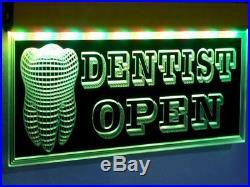 Product Description: “NEW”Design LED Light Signs Comes Complete With Everything You Will Need To Use Immediately. 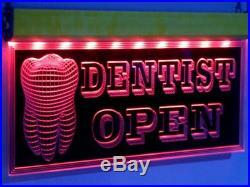 The Bright Glow Of LED Signs Can Attract Customers Like Nothing Else. 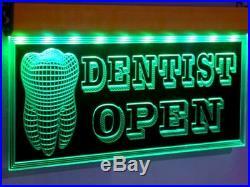 LED Signage Will Make A Huge Impact On Your Customers. 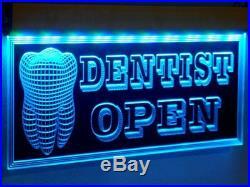 LED Light Signs Can Be Left on 24 Hours a Day, Just Plug It In and Let It Attract Business For You. It’s a lot more cost effective then the traditional neon signs and you don’t feel like you’re getting radiation poison when it’s on. Dimention: -20″x 10″x 1inches (51 x 26 x 2.5 cm) :Features: – 100% Engraving(no sticker, no paint)Carved with the latest 3D -Remote Controller 24 key (Red, Green, Blue, White, Flash, Strobe, Fade, Smooth, etc)Color Changing -Adapter 12 v 1a (work on worldwide)Lighting system 100-240 V -Made with supper bright LEDs, sign can be seen clearly in daylight -Animated LED Signs Are Bright, Eye Catching And High Impact. Cool, Quiet, Energy-Efficient Dimmer & bright settings – LED signs use less power than neon. Naver gets hot & Safe to touch and operate. High Quality Brightness & Unique Design -Hanging support & Aluminium chain are included. Hang Inside Your Storefront Window or wall. Long Life Expectancy(Up to 50,000 hours of operation) -For indoor use only. (Do not show direct sunlight). If you find the product is defective which is rarely happen, you can return the defective products 5 days from the date you receive the product. 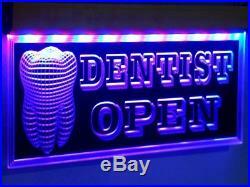 The item “H003 Animated Dentist LED Open Sign Dental Clinic Medical Shop Teeth Neon Light” is in sale since Saturday, March 12, 2016. 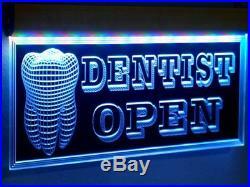 This item is in the category “Business & Industrial\Retail & Services\Business Signs”. The seller is “boon_design” and is located in THAILAND, CA. This item can be shipped to United States.